Error: Motor did not initialize in 30 seconds. Probable cause for this: Wrong settings for the motor. I downloaded a .drc file from the iRacing forums and now it has initialized, sorry for the wasted forum post. Ask for a drc from augury. I am not saying it will be better but it won’t be bad to test it. Hi, I have the same problem (Error initializing engine - wrong settings) how did you solve this problem? I downloaded a .drc file form theiracing forum whichis meant for my motor. I then did the startup with the .drc file selected instead of intial setup which was already on the ioni device. it then initialised and I was able to use the motor. I then got a .drc file from augury and ran the initial setup again, this time it did some extra calibrating but still worked the same. can you send me the link where is the dcr file? It’s a new setup, why don’t you ask for the drc from augury? Took them a few days to get a response to me as well. you have a different motor then mine so I can not send you mine. I got mine through this post. Just a disclaimer, do anything at your own risk. you will need to press the “Measure resistance &inductance” button inside granity to find the correct value for mr and ml. i wonder why did it came without a drc. you did anything and the settings were lost ? According to Augury we should not have to do anything as they are supposed to preload itwith the correct settings beforehand. seeing as it happened withme andnow with him I am sure they barely do anything to them before sending themout the door. their PDF explicitly says we dont need anything extra as they are tested before sent out. i will tell you but those things shouldn’t happen to begin with. you open simucube config tool. you navigate to the advanced tab and there you press the Enable Ioni Usb configuration and you press ok to the popup that follows. Then you have to switch the usb on the back of the augury box to the fw port. Open up granity software (if you don’t have it , download here https://granitedevices.com/wiki/Granity#Download ) . Press i agree and navigate to connect tab. There you will have to find the communication interface device in order to connect. 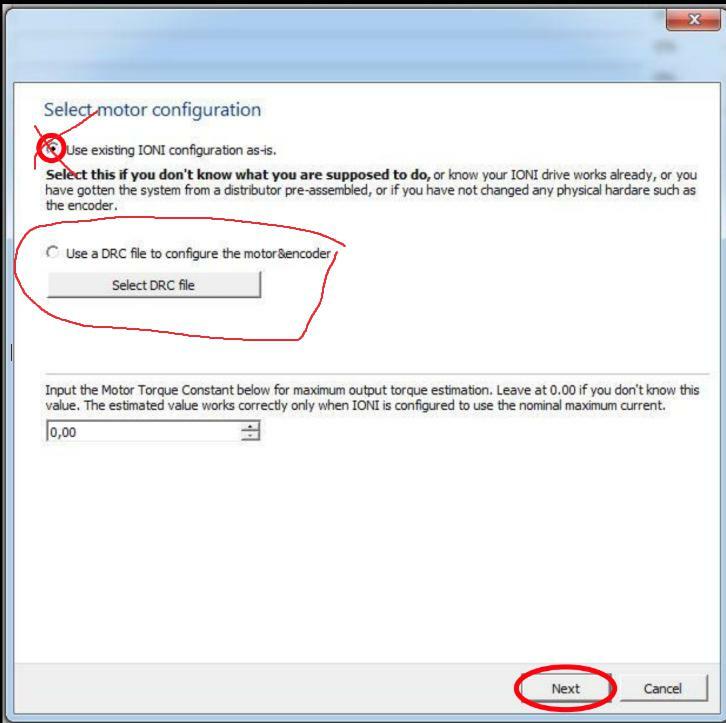 It should be something with simplemotion , press connect to drive , it will show a popup with the device and you have and you press open. If there is nothing in the popup you either selected wrong communication interface or you didn’t change the usb cable or you didn’t press the button in simucube tool. After this you are basically connected. A quick check is to go to the goals tab. If there everything is set to 0 then it doesn’t have the settings for your setup. If it has other than 0 though report back. You go to the connect tab again and press the load settings from file button. And you either load the file i gave you if you can’t wait and see if it works or wait for the one augury will send you. After you have loaded the drc you have to go to the machine tab and you will need to press the “Measure resistance & inductance” button to find the correct value for mr and ml. After it changes the values of mr and ml , hit apply, then hit disconnect from drive buton in the connect tab and save to drive . Now change the usb cable back to the original port and in simucube config tool go to the advanced and disable ioni usb configuration. If all goes well it will connect. Ok, that is way more then I did to get mine working. all I did was download the .drc file they sent me. Now, if what I did is wrong in some way, please let me know. here’s the .drc file they sent me. edit: I did not have to connect any other cables or anything like that. that is even better but it requires you have a working drc from your vendor. I didn’t have one for him that’s why i navigated him with a more perplex solution. he can do exactly the same with the one i made for him but i am not sure if it will work out of the box. But he can try. Even so , those drc are not for your servo. But i have a feeling that they will give you the one that Ralf posted named 30 & 18 Nm (BISS-C) (18-23 A).drc , the reason being that they most likely have the same drc for the large=30Nm mige and your mige 18Nm. The easiest way to see if that’s the case , is open the simucube tool , ran the configure and just select what Ralf shows in the picture , select drc file and load the one he uploaded. I doubt it won’t work , but even if it doesn’t you ll just wait for augury to give you another drc , so you have nothing to lose. Even if it doesn’t you can also check the drc i made with the same way.